Clapham is an inner city district of South London within the London Boroughs of Lambeth and Wandsworth. 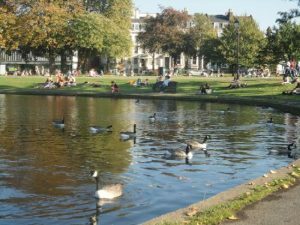 It boasts a large 220 acre green space in Clapham Common, featuring three ponds and a bandstand. Clapham can be reached by car via the A24. Clapham has good public transport facilities including three tube stations: Clapham North, Clapham Common and Clapham South. It also has two railway stations: Clapham High Street and Wandsworth Road. Lanes have been providing driving lessons in Clapham, London for many years. Please call us today on 020 8166 5678 or click here to send us an email via the contact page. Lanes have a team of driving instructors in Clapham, London. Please call us today on 020 8166 5678 or click here to send us an email via the contact page. Lanes have a selection of female driving instructors in Clapham, London. Please call us today on 020 8166 5678 or click here to send us an email via the contact page. Lanes have a selection of automatic driving instructors in Clapham, London. Please call us today on 020 8166 5678 or click here to send us an email via the contact page.